Two years of buying cakes. Two years ago was the first time that my boys did not have a birthday cake made by my mom. Whatever the boys requested, my mom would lovingly and happily create. My boys most memorable birthday moments have been their cakes. Tonight, I slayed some cake demons. Often the hardest things create the most freedom within us and around us. 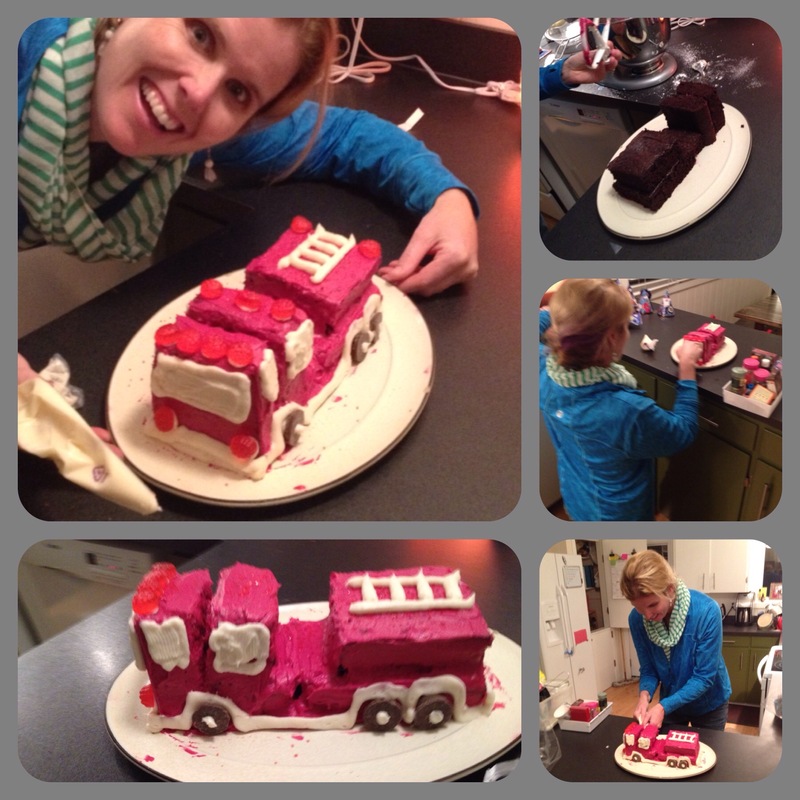 Tonight, I made my newly four year old’s request for a fire truck cake. I MADE A FIRE TRUCK CAKE! What hard stuff will you push through today? What freedom will you create? Previous PostBe Tweaking My Neck Next PostBe Wondering “What to Wear!” NO MORE! Job well done, Joanna. XOXO Happy Birthday Owen. Wow! Looks fantastic. Hope Owen is having a great birthday!